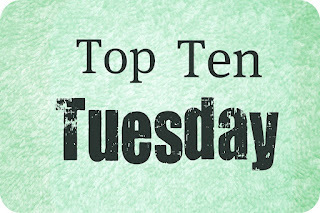 I've decided that I shall take part in Top Ten Tuesday for the near future, it always looks like such fun. Huge thanks to The Broke and the Bookish for hosting such an interesting feature every week! This week's theme is books to get you into the Halloween spirit. And it's a topic that I had been thinking about for awhile. Last year I only reviewed books that I thought were appropriate for Halloween - spooky, ghosty books or books involving monsters and the like. This year I thought I would try to do the same. But it didn't work out. Turns out that I wasn't really feeling the darker reads for very long. I did read and enjoy some Halloween type books - Falling to Ash by Karen Mahoney, Alice in Zombieland by Gena Showalter, Anna Dressed in Blood by Kendare Blake amongst others. But I'm still hoping to review those books in the coming weeks, so instead of talking about THOSE books, instead this is the list of books I was *hoping* to read. Which I still haven't. I'm hoping that by writing about them today, I shall find my excitement for these books and maybe squeeze in one or two by the end of the month... Keep your fingers crossed for me! 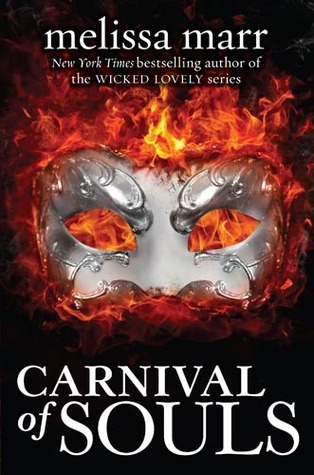 Carnival of Souls by Melissa Marr - I have kind of a hit and miss relationship with Melissa Marr. I really loved the first two books in her Wicked Lovely series and then after that, I couldn't really find my feet with the other books. I was hoping this book about demons would be just what I needed for Halloween this year, but I still haven't quite gotten to the end of it despite starting it last month! 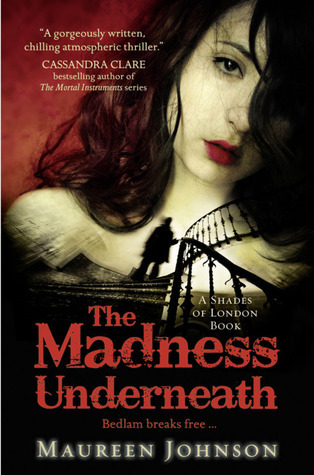 The Madness Underneath by Maureen Johnson - I recently downloaded this book onto my Kindle from NetGalley. I really, really enjoyed the first book in the series, The Name of the Star, so I'm hoping that this book does not disappoint. I'm not entirely sure what the premise of this book is, now that I think about it. Ghosts, though, right? I usually quite enjoy Maureen Johnson's books, so I'm not too worried. Plus, I'm quite curious to see how the different characters' relationships will pan out in this series. I have my theories! 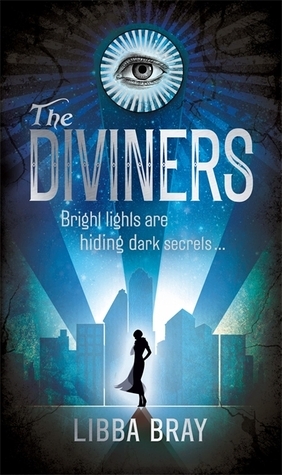 The Diviners by Libba Bray - Oh god. This book makes me feel incredibly guilty. I really feel bad because I was so looking forward to this book. It's Libba Bray, I love Libba Bray! And it's set in the 1920s and I love that time period. And the book was trailer is quite creepy and I do look a bit of creepy. Unfortunately, this book is like 10,000 pages along and what can I say? I am easily intimidated by chunky books! 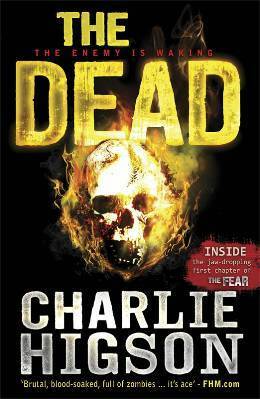 The Dead by Charlie Higson - Yes, those of you who are aware of this series about zombies by Charlie Higson - this is book 2 in the series, and already published are books 3 and 4, The Fear and The Sacrifice. I am so behind with absolutely everything. But I thought the first book in the series, The Enemy was fantastic and I do want to carry on with the series, even though I've been taking my sweet time getting there! 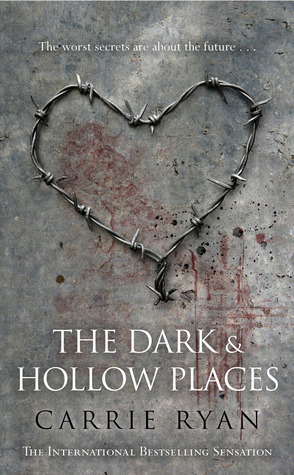 Dark Inside by Jeyn Roberts - Ages ago, this book was kindly given to me by one of my favourite bloggers (Sarah from Feeling Fictional) after I commented on her review that this book sounds interesting and that I'd love to read a copy. Wasn't that nice of her? I still think it sounds interesting. And I do feel a little bit under pressure to read it fairly soonish, especially as there is already a sequel out. 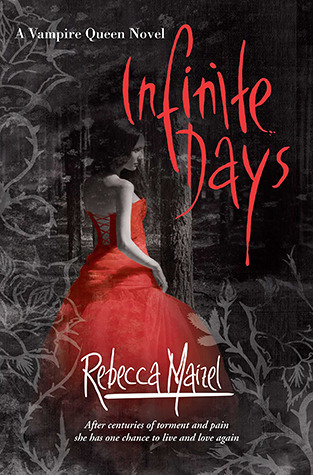 Infinite Days by Rebecca Maizel - Am I starting to sound like a broken record yet? Yes, there is already a sequel to this book as well! I bought Infinite Days ages ago, just at the time when I started to feel a little weary of vampire stories. I knew I was feeling that way, and yet I still managed to buy this book in HARDBACK. And then left it on my shelves unread for such a long time. Must read it. 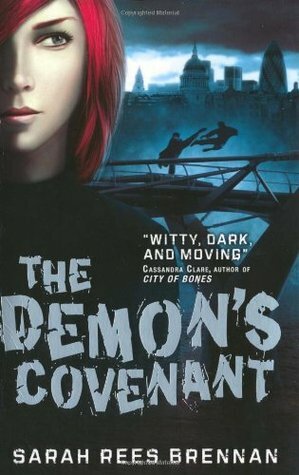 The Demon's Covenant by Sarah Rees Brennan - I am a bit late to the party with this series! I only read The Demon's Lexicon last year (I believe?) but I was really interested in the story and with the characters. I loved the emphasis on the relationship between the two brothers and the importance of language and love. As I mentioned earlier in the post, my problem with same series-different narrators is my only issue with continuing to read this series. 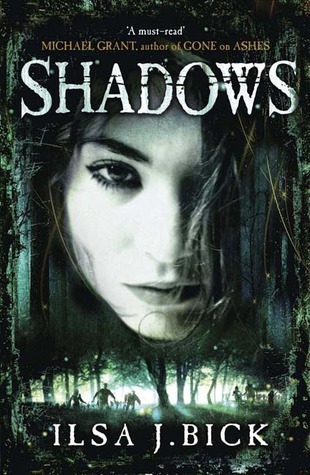 Shadows by Ilsa J. Bick - I have this book on my Kindle as I downloaded it from NetGalley. But it's already out in paperback and I nearly bought a physical copy of this book from my local Sainsburys because I much prefer reading physical books rather than e-books. I didn't though. I really enjoyed the first book in the series, Ashes, about a girl stranded in the wilderness trying to survive after people all around are transformed into zombies! It was fun and I look forward to this, the sequel. 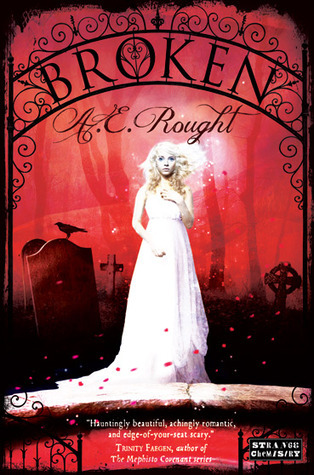 Broken by A E Rought - Doesn't this one sounds interesting? A modern retelling of Mary Shelley's Frankenstein! I just missed out on physical copies of this book, so have downloaded the e-book onto my Kindle. I'm really intrigued to see how A E Rought manages to tell this story in a new way. I am intrigued. So those are the books I have on my shelves unread that I think will put me (and you!) in the Halloween spirit! Have you read any of these books? Would you agree? You have some really exciting sounding books here, hope they live up to expectations when you read them. Great post! Thanks Tanya, I hope so too! I'm glad to hear that about The Diviners! Dark Inside is awesome, I read it over the weekend after someone convinced me I'd love it, and they were right! It's super creepy and a very fast read. Super creepy is always a great recommendation for me, thanks! I totally agree with you regarding The Forest of Hands and Teeth, the last 2 books were my favorite. Some great books on here, especially looking forward to the Madness underneath! Since writing this post, I've actually already read and loved The Madness Underneath! The Diviners looks good, doesn't it? I can't wait to get my hands on Carnival of Souls. Should be good, right? I have no idea why I haven't read it yet! What a fab list! I just read The Diviners to get me into the Halloween mood and thought it was brilliant and I'm hoping to get to Ashes and maybe Shadows before the months over! Broken sounds incredibly interesting! I just finished Alice in Zombieland myself and it was one of my favorite reads this year. Gret list! Here is my Top Ten. Wasn't Alice in Zombieland wonderful?! I haven't read any of these, but I am interested in Ashes and Shadows- Shadows has got such an intriguing cover and sounds just plain unusual and interesting that I think I should check it out. Thanks for the comment Romi, I really loved Ashes and I've since started reading Shadows. I'm really intrigued by this series. Lots of great-looking books I've never heard of! I'm inclined to think I might like some of these, because I felt exactly the same way about the Wicked Lovely books.